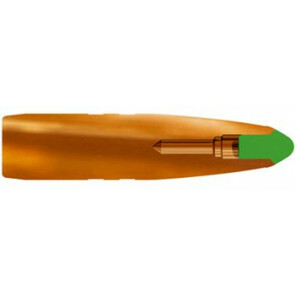 Nosler Ballistic Tip - Hunting 6,5 MM - 100 GR., 120 GR. el. 140 GR. - 50 stk. Nosler Ballistic Tip - Hunting .308 - 150 GR. - 50 stk. Nosler Ballistic Tip - Hunting .308 - 165 GR. - 50 stk. Nosler Ballistic Tip - Hunting .308 - 180 GR. - 50 stk. Sierra Game King 6,5 MM - 140 GR. - 100 stk. Norma Oryx 6,5 mm (.264) - 100 stk. Norma Oryx 6 mm (.243) - 100 stk. Nosler Accubond Long Range - 7 MM (.284) 150 GR,168 GR el. 175 GR.